Again, cuteness slays the demons. so cute , love this. Let’s hope not. I like the little piggy too. 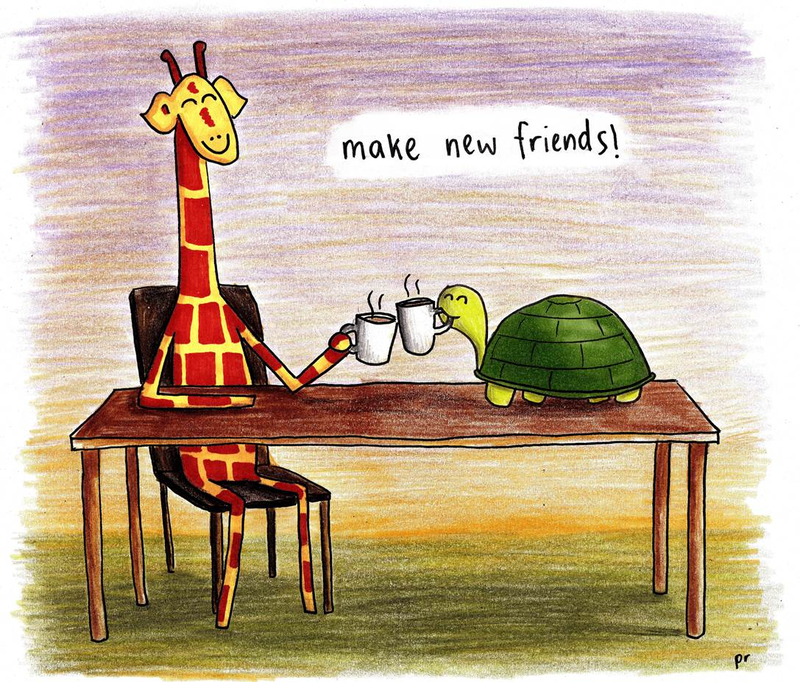 I’m just having a morning cuppa, and now thinking about old friends, new friends and sharing x. Keep telling myself to join an art group, meet some friends , have a coffee….. instead of being in the house painting all day…..this must be an omen! Thanks. Trevor is going to need a friend to help him get that coffee tilted into his throat.